Top 100 Teacher: Arm-lock putting is legal and works like crazy. Here’s how you can use it. I just helped major champion Stewart Cink switch to the arm-lock putting method. It’s an easy—and possibly superior—way to putt, and golf’s governing bodies have given it their full blessing. 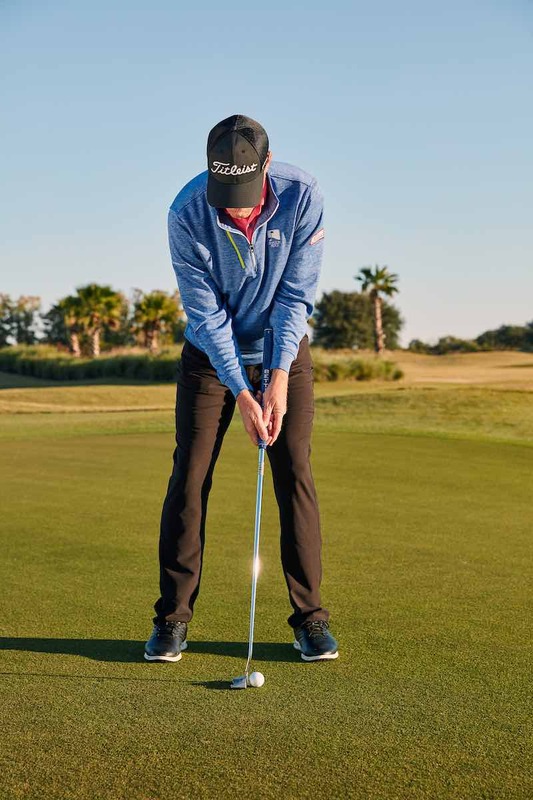 Here’s the basic concept: Connect the shaft of your putter to your lead arm at address (photo, above) and keep it there during your stroke. By doing this you eliminate any deviations in shaft angle from setup to impact, where most putting errors occur. Honestly, it makes controlling the putterface darn near idiot-proof. It also improves grip pressure consistency and rhythm. No more jabs or flinches! The only drawback is that because the shaft leans forward as it stays fixed against your lead arm, you’ll need a putter with significantly more loft—about eight degrees (Editors note: In the picture below, James is using a Bettinardi Studio Stock 28 Slotback Putter, the same kind of putter Matt Kuchar uses, who pioneered the technique). Otherwise, the method is simple. Set up with your feet under your shoulders and the ball positioned just forward of center. Then let the shaft “lean” into your lead forearm. Your goal: Maintain that connection, from the moment you start back to when the ball drops into the cup.